International Surfing Day was held on Thursday June 20, 2013 and in addition to surfers worldwide paddling out in celebration of ISD's 9th year, local Surfrider chapters gave back by volunteering their time with beach clean-ups and surfboard demos across the country. In Southern California alone there were events at Lowers, in Huntington Beach and Hermosa Beach. Go Skateboarding Day, held on June 21 every year, is the official holiday of skateboarding. The holiday began June 21, 2004 as an excuse for skateboarders to make skateboarding their top priority. Go Skateboarding Day began with a few simple skate sessions and bar-b-ques held in skateboarding’s unofficial capital, Southern California. 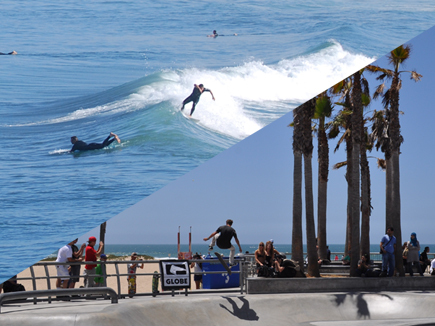 Click the image above, or here, for the results and to view photos of International Surfing Day and Go Skateboarding Day from across California and beyond.